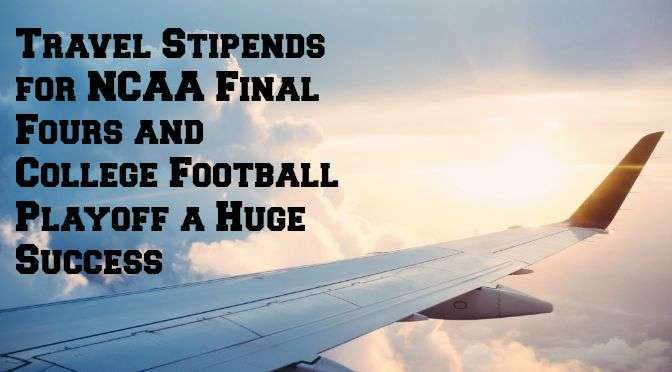 Last year, the NCAA did something unprecedented: they approved a pilot program to provide travel stipends to the parents or guardians of men’s and women’s basketball student athletes participating in the Final Four (up to $3,000 per student athlete) and National Championship (an additional $1,000 per student athlete). 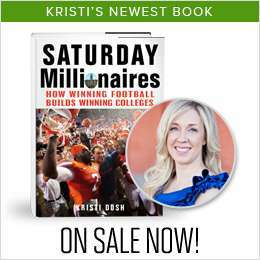 The program also authorized the College Football Playoff to provide up to $3,000 per student athlete for the College Football Playoff National Championship, although the CFP ultimately adopted a $2,500 per student athlete stipend program. A month ago, the NCAA announced it would be extending the program for men’s and women’s basketball for a year, and then Tuesday the College Football Playoff followed suit and extended its program for another year.